Today I wanted to share with you a super simple technique that you can apply to ALL your Youtube vidoes in order to increase the number of views and clicks. Optimizing your videos for better rankings is just one way of increasing the exposure to your videos. However, there is a very simple technique that you can use that gets more of your audience to click on your videos rather than those of your competitors. What I’m referring to here are “Video Thumbnails”. 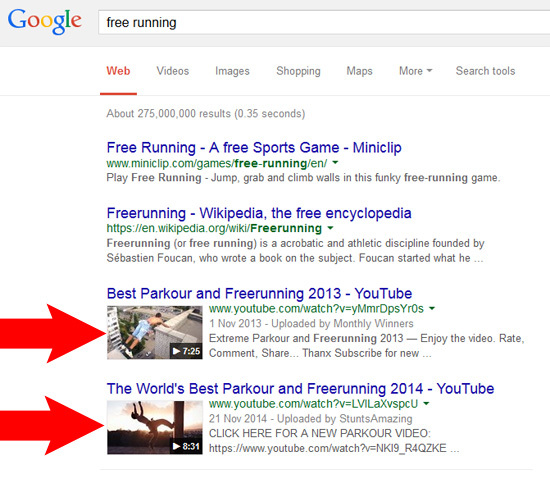 The little still “Preview” images that display in both the Youtube and Google search results to depict your video. Having a video thumbnail that creates curiosity will always attract more clicks and I have used this technique myself over recent years to get more views and traffic for my videos. Many people do not even think about this though so by applying this tweak you will reap massive benefits. 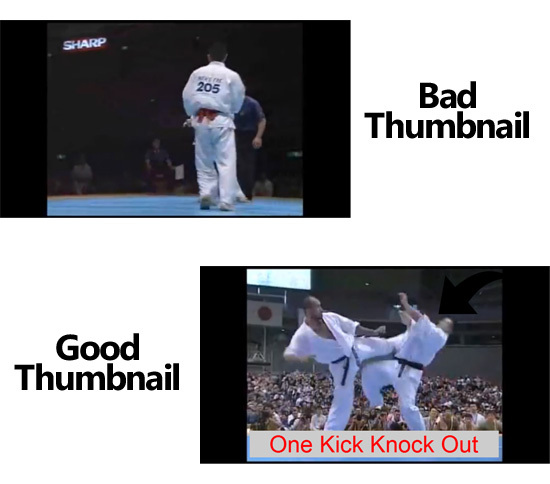 You can see that the thumbnails above show good action shots and as a result will attract a high click through rate. You will see that the thumbnails shown above create curiosity. Most show some kind of action shot or something that makes their audience want to know “What happens next”. The problem when uploading videos to Youtube is that you generally only have a choice of three thumbnails to choose from. Youtube choose a “Still frame” from the start, middle and end of your video. However, if you have a Youtube account in good standing then you also have the ability to upload a custom thumbnail. Below is an example of what Youtube offers you during the video upload process. The issue with this is that the preview images being offer by Youtube are generally not very good. The “stills” are often from a stagnant part of the video and they do not effectively reflect the video content to make it look intriguing. 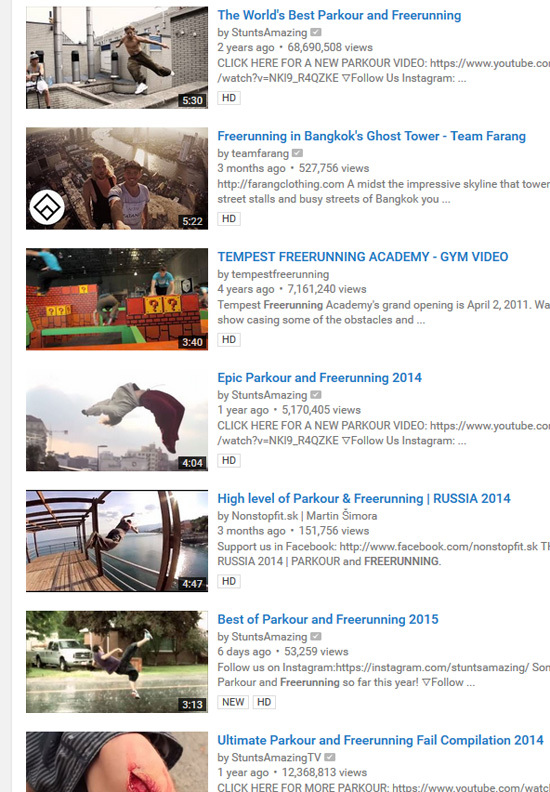 To the right hand side you will see a “Customised thumbnail” option. This is where you can upload an image of your choice. An image that will create curiosity, shock and awe with your audience. With the examples shown above you will see that the top one shows no action and gives little hint as to what will follow. The second thumbnail however shows a “peak” action shot and will make your audience curious as to what will happen after the kick. It also includes an arrow that emphasizes and area of the video and it also includes some text that gives a direct statement of what they can expect to see in the video. These tweaks can be used in almost any kind of video… It doesn’t just have to be action style videos. It’s just a case of picking the best stills and embedding some curiosity. The results can be staggering. How many more views do you think the second example would get over the first example? I recently got my hands on a pretty neat piece of software called “Insta Thumbnail Creator” by Joey Xoto (a friend of mine). He is well known in the marketplace as the video guy. Insta Thumbnail Creator is a brand new cross-platform (Mac & PC) desktop software that allows you to quickly grab the best stills from your videos, add filters, text, shapes and icons to make eye catching traffic pulling thumnail images for ALL of your videos. This software gets released tomorrow (4th August) at 9am EDT (Earlybird). However, I got my hands on a copy early so thought I’d create a short demo video for you so you can see how simple but effective it is. Insta Thumbnail Creator goes LIVE tomorrow (4th August) @ 9am EDT and for just 3 hours you will be able to pick up the software for just $17 (Single License). I’ll email you as SOON as it goes LIVE so keep a close eye out for that email. Great article! I have recently been adding custom thumbnails to my videos on my YouTube channel, Joe Leary. I have seen a huge difference in views when the thumbnails are interesting! Joey Xoto is a go to guy in video, I have purchased a few of his products and they are always excellent.